Sometimes when I'm overcoming a slump, the urge to read comes back in twinges. Sometimes it's just a general need to read while other times it's a specific book calling to me. In this case, the book is SCREAMING BLOODY MURDER. Ha! Bloody murder. So to speak. 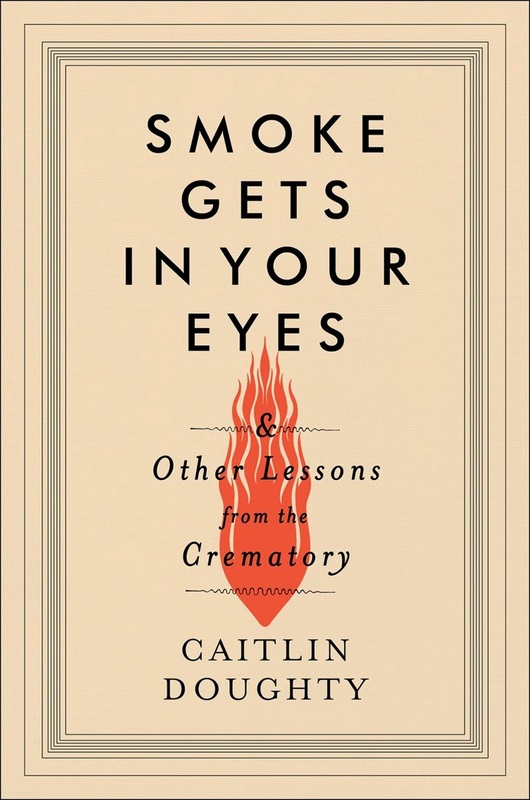 Smoke Gets in Your Eyes & Other Lessons from the Crematory, by Caitlin Doughty, has been on my radar since I first heard whispering about it in the blogosphere when the ARCs went out. In general, non-fiction seems to have great slump busting qualities for me, so I'm hoping this is the one. I downloaded the preview a couple of weeks ago, and I absolutely sucked it down. Doughty is humorous and honest and thoughtful and adorable. 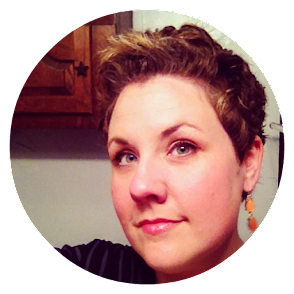 Really, I know she's adorable because of her YouTube channel, Order of the Good Death. If you're interested in topics related to the funeral industry, check out this book and channel. A big thank you to Heather who is reading this one right now and is so excited about it that she sent this book to me as an early birthday present. She's so sweet! 2) This looks awesome. Hope it busts the slump for you! Thanks, Kerry! So far, so good! I just love her down-to-Earthness. This one is calling to me, too!! (unfortunately, so are SO MANY other books haha) Can't wait to hear what you think. Right? Most of the time it's like a chorus from my bookshelves. This one is the clear winner this time, though. All it takes for me is one amazing book. Hope this is it. I have this one set aside for Nonfiction November and can't wait to get to it. I'm glad it caught you quick, that's always a good sign! Ooooh, I forgot about Nonfiction November. I have plenty more to choose from. Since non-fic is usually such a great slump buster for me, I may try to keep the good times rolling. This sounds pretty good! I hope it's the book that breaks your slump! Thanks, Vasilly! I hold out hope! Ha! Sounds unique. Hope it works for you! Yes! Dive in! IT IS SO GOOD. I'm in! I'm loving it. I can't bring myself to want to read about a crematorium, but maybe this is one of those books that you just have to trust everyone else on and read it anyway! Will look forward to hearing your thoughts. Oh that's doubley exciting, having a good book and a slump buster! I could not be happier. I needed SOMETHING. I need this one in my life! (You always do this to me, lol) I've meant to read Stiff forEVER and this one sounds just a groovy. I can't wait to hear what you think. I think the topic is beyond interesting. Yes you do! Stiff is amazing, and this one is definitely groovy. My mother, the really morbid woman who loves forensics, adored Stiff, but she liked this one just as much. I've heard good things about this one. Hooray for slump-busting reads! Hmmm..thinking I need to read this one!! Good readathon book?? YES! Incredibly compelling and not super long. I loved this one! It was so funny and gross and interesting. I've been shoving it at people. I can't get enough of it, Kim! I am ho-hum over NF most of the time but this one sounds good and you sucking it down is a good sign. Didn't think she would be so young. Maybe only a young person could handle such a macabre job. (: We need more people like her. I have this one on the to-read list. Looks like I should get to it sooner rather than later.